BLUEFIELD COLLEGE is a private, liberal arts college founded in 1922, located in the beautiful Appalachian Mountains in southwestern Virginia. Bluefield College sits on 82 acres of land and consists of 14 buildings. Bluefield’s location in the heart of the Appalachian Mountains provides plenty of opportunities for canoeing, kayaking, rappelling, white-water rafting, rock climbing, and hiking in the Virginia mountain countryside. Bluefield College is known for its classroom technology, affordability, personalized instruction, and learning settings in countries abroad (study abroad). BLUEFIELD students have the opportunity to be engaged in any number of student organizations, sports, or ministry opportunities. Students come from more than 33 states and 30 countries and 99% of students receive some type of financial assistance. 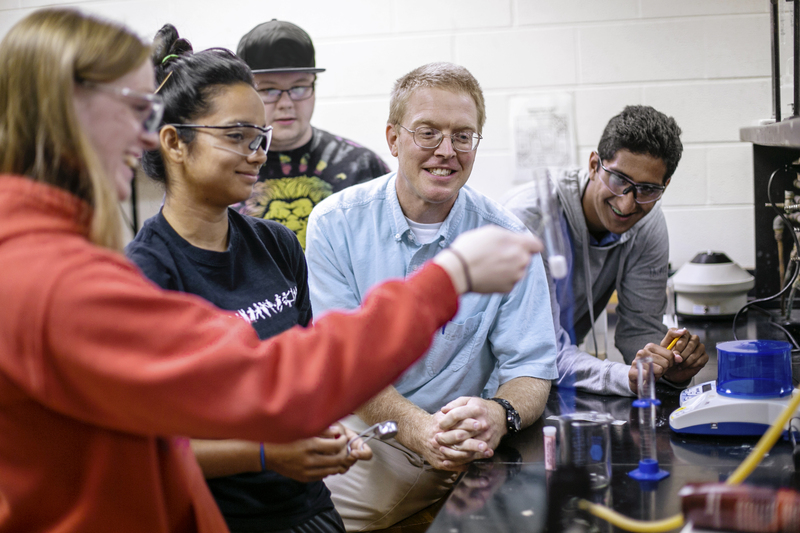 As a student at Bluefield College, you will know the self-discovery that is nurtured when professors become mentors. Students know the joy of a refreshing hike through the Appalachian Mountains after class and the beauty of an inclusive community that encourages students’ passions. Students also know the excellence of a liberal arts education that lays the foundation for their individual calling. Want to hear more about Bluefield College? Fill out our Connect Form and an AmeriStudy representative will contact you soon! Click here to browse academic programs at Bluefield College. Graduate Tuition 2018-2019: Varies by academic program. Financial Assistance: International students are eligible for academic scholarships ranging from $2,000-$10,000 annually. In addition, students interested in art, music, theatre or athletics may receive additional scholarships based on talent. Students would need to provide a video showing ability in music, theatre or athletics. Art students must submit a portfolio of completed work. Application Deadline: Application and admission requirements must be completed at least three weeks before the beginning of the term of attendance.